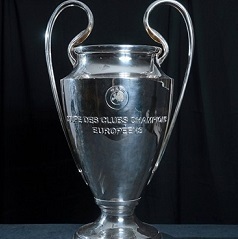 Lausanne - A meeting in which UEFA and Europe's football leagues are expected to discuss controversial reforms to the Champions League will be held on May 8, multiple sources told AFP on Wednesday. The meeting will bring together UEFA President Aleksander Ceferin and his counterpart from the European Leagues organisation Lars-Christer Olsson. They will meet either at UEFA headquarters in Nyon or in Geneva to discuss a range of radical changes to the continent's top football competition from 2024, the sources said. One source told AFP that "the aim is to discuss Champions League reforms developed by the European Clubs Association (ECA)". Those reforms reportedly include the introduction of weekend fixtures, four groups of eight instead of the current eight groups of four, and a tiered system with relegation and promotion that would see the top six teams of each group automatically qualify for the following year's competition. A UEFA spokesman confirmed to AFP that European football's governing body "will meet league representatives in the coming weeks", but didn't say what they would discuss. Another source said there were "no concrete projects yet, only ideas that come from discussions between UEFA and the ECA". The wide-ranging proposals were reportedly put forward by Juventus chairman Andrea Agnelli during a meeting held on March 19 between UEFA and ECA, which represents Europe's major clubs and is chaired by Agnelli. The ideas were blasted last month by senior officials in the Spanish and German leagues. The reforms are also set to be discussed at another meeting, this time of the UEFA Club Competitions Committee, which is scheduled for May 14 in Nyon.